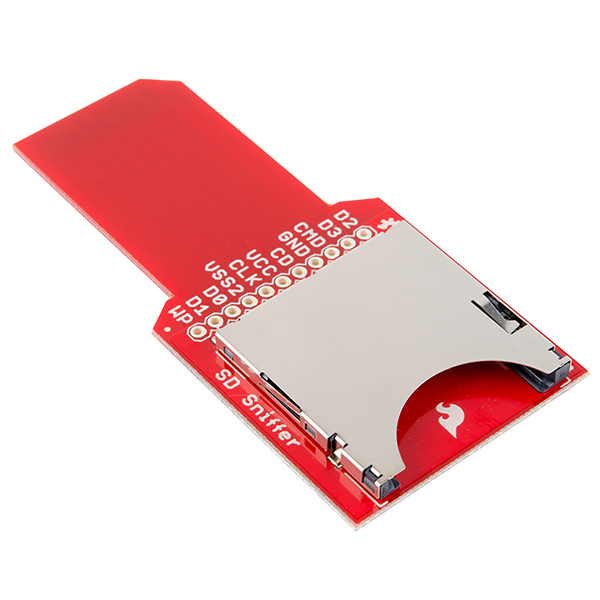 This board is a unique board recommended by a SparkFun customer. When playing with SD, you sometimes need to view what the SPI traffic is doing, whether for hacking or debugging. 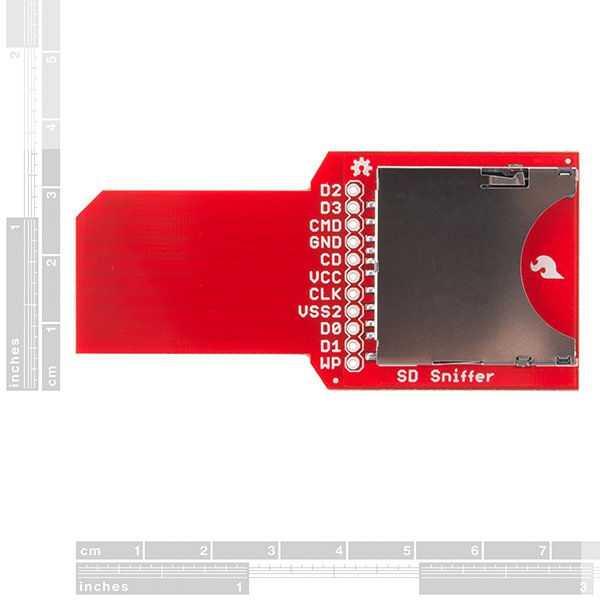 The SD Sniffer allows you to hook up an external device, such as a logic analyzer or microcontroller, to view what signals are being passed back and forth. Insert one side into a regular SD socket and a SD card into the SD holder, simple as that. **Note: **This product is a collaboration and a portion of each sale goes toward the designer for product support and continued development. What does this do? Take SPI data and save it to a SD card? Very hard to understand from the description. Why didn't I come to SparkFun first? I've been looking for something like this, but was having trouble finding what I wanted. This is close enough and I can now move forward with designing my project. What I was really looking for was a M/M cable so I could connect my CPAP to my device to directly load the data to private cloud storage without removing the SD card and then remembering to put it back. Now I won't have to write the original data to the SD card, I'll just have to sniff out the data and write it my way to the private cloud. This is exactly what I'm trying to figure out how to do. Did you come up with a solution? I would love to track metrics from my CPAP without having to bother the SD card every morning. What is the PCB thickness?.... 1.6mm or 2.0mm? Is it possible to cut the SD card portion of the PCB and make an extension cable to the holder portion? Edit: Well looks like you can. Simply ignore WP and CD. 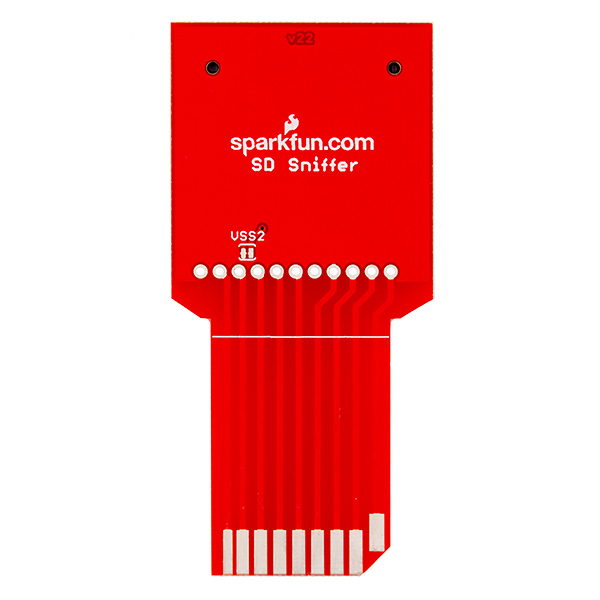 While I understand the Electric Imp isn't an actual SD card and only uses the same form factor, wouldn't this sniffer still be able to intercept what's being passed back and forth? Couldn't data be redirected to an alternate "mothership" as some call it? Sure, this is a very handy board for Imp troubleshooting. Keep an eye on the Imp's pin-out; the power and ground pins should match up, but that's about it. Also, you'll want to cut that jumper on the back of the Sniffer so as not to short pin 6 (where the Imp connects to the ID chip) to ground. Makes logic analysis much easier. I used it together with a selea logic analyzer to fix a problem using SPI. It was very easy to do. Worked without a glitch.